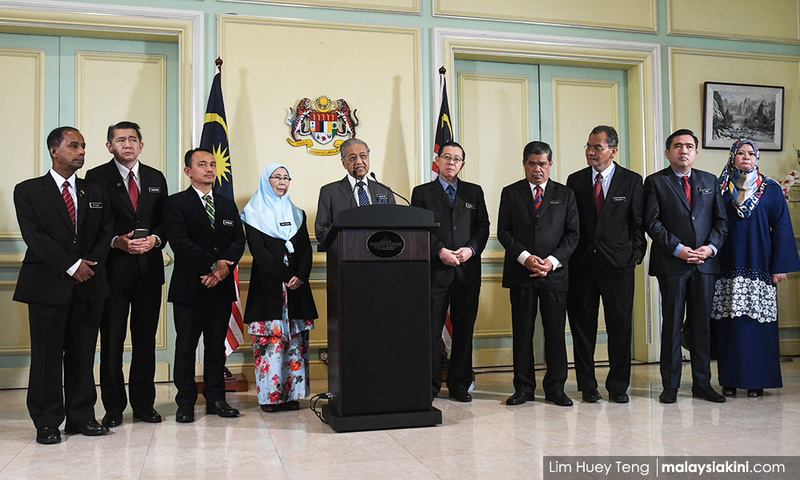 COMMENT | If certain quarters assumed that “forcing” the Pakatan Harapan government to pull out of the Rome Statute was some sort of victory, reading the transcript of Mahathir’s press conference should be a reality check for them. If anything, the pugilistic response – even in defeat – is more of a slap in the face than anything in the Rome Statute. Some people are disappointed that Harapan pulled out of the Rome Statute. Some people are disappointed with the non-Malay political operatives for supporting this move. It makes the Harapan government look weak when the far right forces, in collusion with certain members of the royal houses, disrupt a democratically elected government from carrying out policy decisions. Foreign Minister Saifuddin Abdullah rightly points out that the deep state – my term is the deep Islamic state – is mounting a vigorous offensive to usurp the democratic process in Malaysia. This anti-democratic element must feel great that they have managed to usurp the legitimate aspirations of people who voted for the Harapan government. This anti-democratic element must feel great that they have managed to make the prime minister of this country bend to their will and, of course, the non-Malay political operatives sit silently while Malay power structures flex their muscles. This may sound strange, but I have a lot of sympathy for Lim Kit Siang when he says this decision was forced upon them. This Rome Statute fiasco was initiated by elements who are not democratically elected, but who have the influence to plunge this country into a protracted constitutional crisis that could derail any form of reform, however small. While Kit Siang wonders how people’s minds could be poisoned, the reality is that the “people” had nothing to do with this. 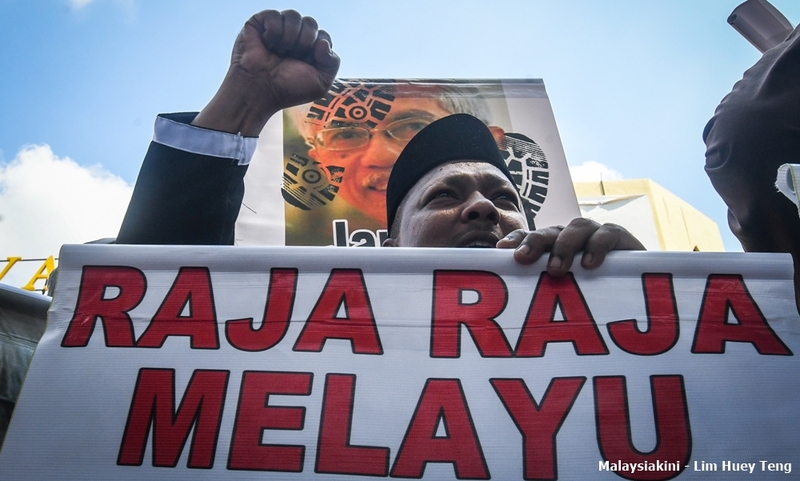 The Rome Statute issue was not fuelled by populist sentiment in the Malay polity, but rather the machinations of certain individuals to erode the legitimacy of a democratically-elected government. There was nothing Harapan political operatives could say or do, which would mitigate the damage done by individuals who have a stake in the intersection between commerce and royal prerogative, which has had a deleterious effect on the political process, but which has been condoned by the Malay political elite (in collaboration with non-Malay power structures) since independence. Which is why Anwar’s response to this plot to destabilise democracy was predictable and disappointing. 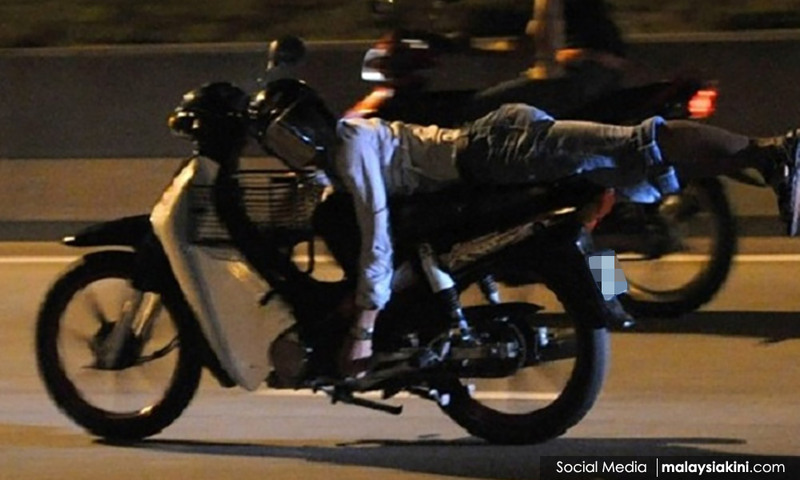 Mahathir was not “wise” to withdraw from this. It is never wise to withdraw from something that Anwar admits “is good for reforms, transparency and rule of law”. Claiming that some concerns should be “assuaged” is bone-headed since we know, Harapan knows and anyone with a smidgen of intelligence knows, that there were never any legitimate concerns, only the concerns of individuals who decided to challenge a democratically elected leader, using the toxic politics of race and religion. (2) Reminding those people that even if the statute is abandoned, they will still be held accountable for any malfeasance they commit and the false hope that their station in life protects them from legal consequences is just that, a false hope. The only viable option is to play the shadow game until Harapan gets its acts together by demonstrating that, even without the symbolism of such international treaties, it is willing to carry out reforms which, so far, Harapan has lacked the backbone to do. This is payback for the Malay political elite who, for years played this race and religion game, are now confronted by genuine democratic impulses of a Malaysian polity restless for real change and stymied by the very institutions they defended for years. Now, if Bersatu is the sole protector of race and religion that it wants to be, then things would be different. Suddenly the people would be knowledgeable and those individuals whose agenda is to stir up trouble would be bereft of political influence. This is why Bersatu strategists and political operatives have been texting and calling me, pointing to this situation as the perfect example as to why Bersatu needs to beef up its presence in Harapan. The prime minister is on his own here. While I may have a little sympathy for the ruling Harapan elite, this is the fault of Malay power brokers who have weaponised institutions and religion for years against the rakyat. For years they used the royal institutions for their own purposes. 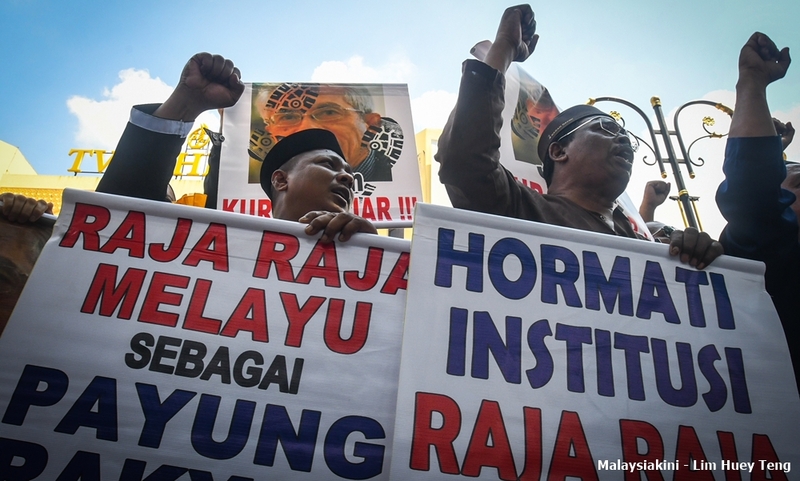 Now the royal institution is flexing its muscles to curtail the agenda of democratically-elected leaders because the reality is that Harapan does not have the majority of the Malay community behind them. 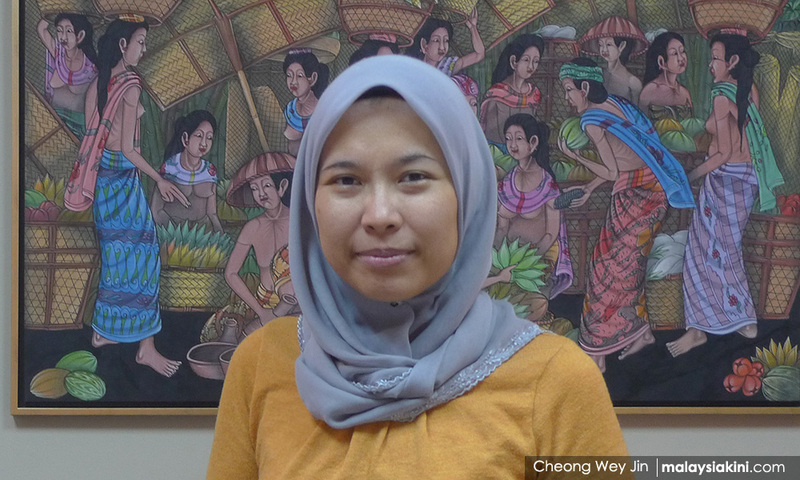 If you think the attacks against the prime minister is getting harsh, think back on the fascists’ attacks against someone like Fadiah Nadwa Fikri (above) who is being investigated by the Harapan state for comments made about royalty. In order to take on the anti-democratic forces in this country, Harapan has to commit to serious reforms, many of which would lay bare the toxic confluence of religious, racial, royal and corporate power in this country. They have to stop demonising citizens like Fadiah Nadwa and commit to an agenda of reform, which does not necessarily mean signing on to international treaties, but rather, legislating and creating policies that empower the people and not merely anti-democratic institutions. If Harapan does this, it will not be forced to do anything by the anti-democratic forces in this country and Malaysians will come to understand that all roads lead to Rome. Posted in Anwar Ibrahim, civil society issues, Democracy, FM Saifuddin Abdullah, Govenance, Human Rights, Malaysia, Malaysiakini, Pakatan Harapan, Parti Pribumi Bersatu Malaysia, Politics, Rule of Law, Tun Dr. Mahathir Mohamad. The constitution and electoral laws were carefully designed to disadvantage the two large parties, Pheu Thai and the Democrats. Meanwhile, the junta leaders are allowed to appoint the 250 senators who will join with elected MPs to choose the prime minister. 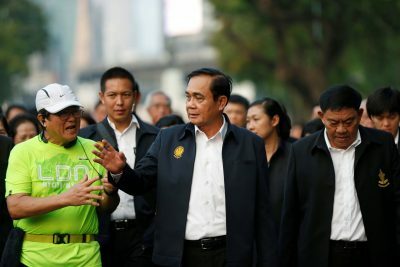 The constitution also allowed junta leader Prayut Chan-o-cha to be nominated for prime minister without membership in a party. This gives him greater flexibility in seeking the additional 126 elected MPs whose support is necessary for him to remain in his current position. Posted in ASEAN, Democracy, Elections, Govenance, Human Rights, Leadership, Politics, Thailand, www.eastasiaforum.org. As Pakatan Harapan’s first anniversary in power approaches, it is time for the coalition to weed out “clowns and comic characters” within its fold, said veteran newsperson A Kadir Jasin. 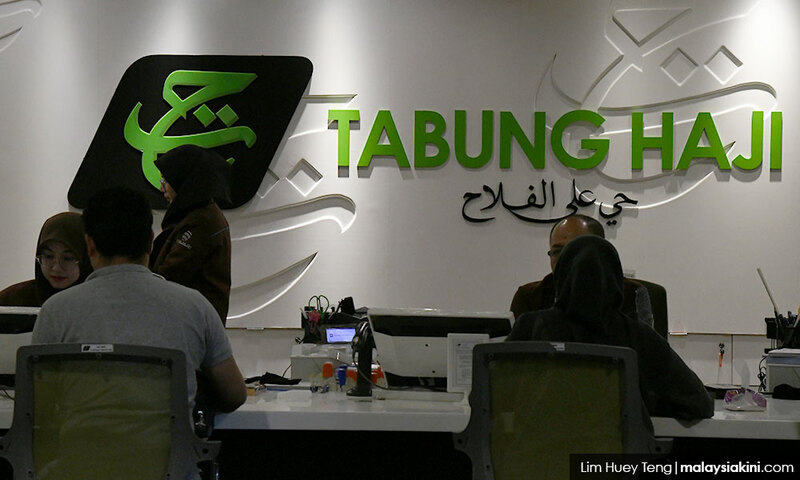 In a blog post today, Kadir said this is to restore the people’s declining trust in the coalition, as perceived from its losses in the past two by-elections in Cameron Highlands and Semenyih respectively. “As the one-year milestone approaches, Harapan will be subjected to greater scrutiny by the people, the press and investors. “To pass this public relations and confidence test, Harapan must improve its storytelling. It may even have to consider re-arranging or firing some cast members. “The plot and narrative must be understood and believed by the people and the cast must be respected. 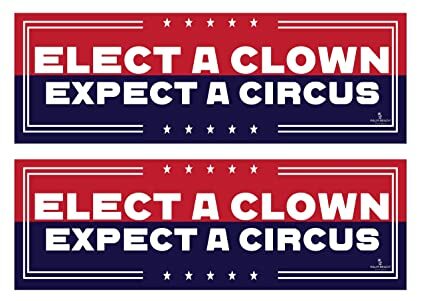 There is no role for clowns and comic characters,” said Kadir, who is also the media adviser to Prime Minister Dr Mahathir Mohamad. According to Kadir, cabinet ministers, menteris besar and chief ministers must engage in self-examination and self-criticism where necessary. The press and the people must not be blamed if the government is perceived to be “inept, arrogant, and aloof,” he added. May 9 will mark Harapan’s first year in power after it won last year’s general election. Kadir opined the coalition had made “pretty good progress” for itself and the country, since then. The government would not be wrong in backtracking in promises made in the manifesto, if they are unrealistic and the actions taken thereafter cause hardship to the people and put the country at the risk of default, he stressed. The veteran journalist further claimed that the people are getting impatient with the delay in the cases involving former premier Najib Abdul Razak, who is facing multiple charges of corruption, abuse and power and money laundering. “The longer Najib (above) is allowed the freedom to make a mockery of the law, the greater is the risk of the people seeing justice as favouring the rich and the powerful. Or worse still, that he is not guilty,” said Kadir. “Najib knows his time is running out and he has to make the best use of it. “In fact, with each passing day that he is allowed to make a mockery of the people, the worse it becomes for UMNO and the BN,” Kadir said. 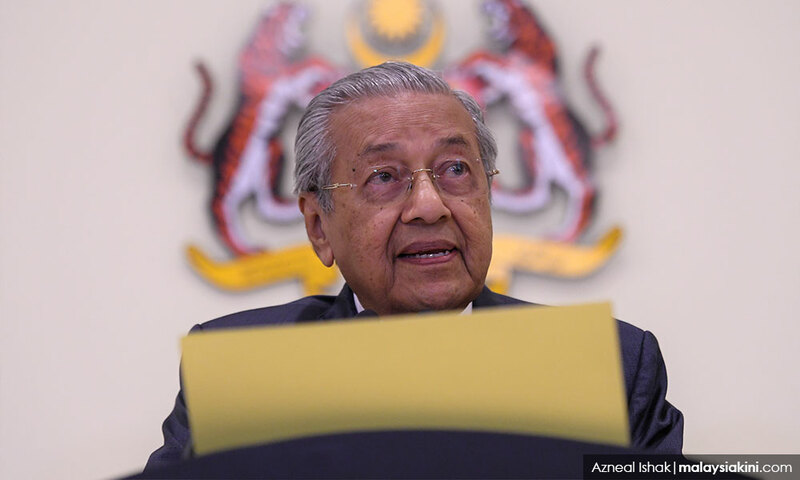 Posted in Character and Integrity, civil society issues, Democracy, Govenance, Malaysiakini, Pakatan Harapan, The Pakatan Cabinet 1.0, Tun Dr Mahathir Mohamad. This is in response to the article written by Kimkong Heng and Veasna Var entitled “Reversing Cambodia’s democratic drift” which appeared in East Asia Forum. The article raised three major points namely the alleged sham election, the decrease of legitimacy and the growing state autocracy. I wish to reflect upon the nuances of the development of democracy in Cambodia through historical comparison and debate on the nature of autocracy. Cambodia’s democracy should be viewed as still in the elementary school level if compared to other advanced and established democracies as discussed by Soun Nimeth , which appeared in Myanmar Times. He argued that viewing it from the nation-building perspective, Cambodia is among the top scorers. Its political development comprises three elements in tandem namely peace, strong economic growth and a certain level of democratisation, which is currently a rare case in the region. Calling the 2018 election a “sham election” is rather a misplaced argument. Out of the 8.3 million registered voters, 83 percent went to vote, which is relatively high if compared to other countries with a non-compulsory electoral system. For instance, the Philippines had 60.6 percent in 2013, India 58.19 percent in 2009, the US 41.59 percent in 2010 and 55.7 percent in 2016, and Japan 53.68 percent in 2017. 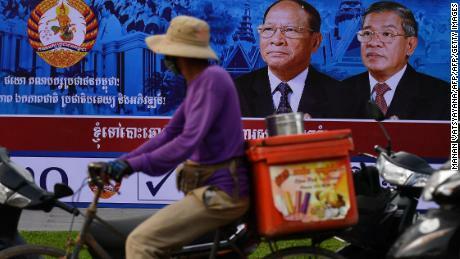 Nearly 1.5 million people voted in favour of another party than the Cambodian Peoples’ Party (CPP). 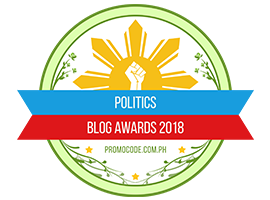 If we consider the exceptionally high number of invalid votes of over 500,000, we can consider that more than two million voters (out of some 7 million) expressed a preference different from that of the CPP. The number of invalid votes is also a good indication of freewill and secrecy of ballot. Compared with previous elections, there are two major historical developments that should deserve attention. Firstly, it is the first election that was held with zero incidence of violence. There was less tension as contending political parties did not instigate class division, racial hatred, xenophobia and ultra-nationalism. Secondly, there was absence of post-electoral confusion. Previously, after every general election, Cambodia’s government would be stalled by prolonged electoral deadlock, if not violence. Allegations on vote irregularities such as voters’ list, name duplication, voter registration and management, etc. were common. Such confusion had been neutralised thanks to the digitalisation of voters’ list, which was technically supported by Japan and the EU. Arguing that the government’s legitimacy is under threat and is drifting towards autocracy does not reflect reality on the ground. The authors got mixed up between the concept of “approval rating” and “legitimacy.” It is normal that the approval rating of President Trump, President Macron and Chancellor Merkel are decreasing but that does not mean that their legitimacy is under threat. Besides, legitimacy is not for outsiders to decide but for the Cambodian people. Touching on arguments of autocracy, the high level of freedom of expression and freedom of association should be cited. Media criticism is becoming a part of life for every Cambodian. Far from being autocratic, the government has been very sensitive towards public opinion. The case in point is the violent incident involving land issues in Preah Sihanouk province. Four military police officers were disciplined after the probe and Preah Sihanouk provincial governor was publicly criticised by the Minister of Interior for the violent clashes with people. 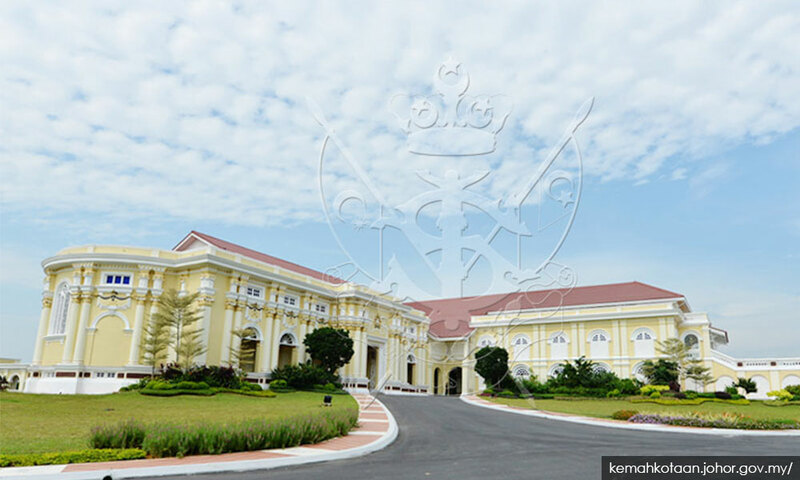 Recently, two deputy provincial governors were officially removed following the Supreme Consultative Council’s meeting last week. Another incident involved the sacking of Ratanakkiri Provincial Military Police Chief Kim Raksmey after criticism on his handing out of $500,000 to his children at a birthday party. Online media freedom is reaching the level of frenzy. Social media users in Cambodia are free to say practically almost anything you want against the government’s underperformance. Any foreigner who can read Khmer on Facebook would immediately understand that the language used in social media is clearly not an expression that can be used by people under suppression. The two foreign affiliated radios, Radio Free Asia (RFA) and Voice of America (VOA) in Khmer, can be heard uninterrupted daily throughout the country along with their online webcast. The RFA and VOA are free to broadcast their daily tirades against the government, in the likes of animosity between President Trump and CNN. Their popular radio programme can be accessed anytime over the Net and also on Facebook. It is estimated that of the country’s 29.2 million mobile phone connections, 52 per cent have 3G or 4G broadband coverage. Cambodia continues to be an “NGO paradise” with more than 5,000 operating freely and their voices are impactful. If they are under pressure, they should have voiced support for the EU as it launched procedural action to withdraw Cambodia’s trade preferences under the Everything But Arms scheme – an action the EU claims as necessary to save the opposition and civil society groups. The reality is that none of the civil society organisations operating in Cambodia have voiced their support for the EU’s latest action. So is the EU barking up the wrong tree? Labeling Cambodia as autocracy stems from the misperception of Cambodia’s political development and the gross over-expectation of a performance beyond that of an elementary-level democracy. On top of that, geopolitical interests are also at play. These factors, indeed, exert pressure on the political, economic and strategic choices of Cambodia. However, it should be fair to say that such discussion should be separated from the context of the state’s legitimacy. 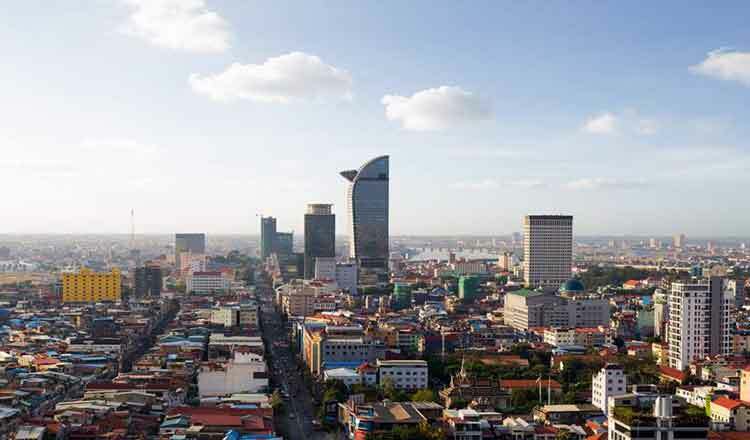 Sim Vireak is strategic advisor to Asian Vision Institute (AVI) based in Phnom Penh. Posted in ASEAN, Cambodia, Democracy, Govenance, Hun Sen, Khmer Times, Leadership, Politics.